An unparalleled opportunity to experience the great variety of the north of England: the old port of Whitehaven, the Coal country of West Cumbria; the heart of the Lake District; the Eden Valley; the wild moors and lead mines of the North Pennines and Weardale, old Durham railway routes, and the renascent industrial and commercial zone of Tyneside. It's also a terrific personal challenge that involves three hard days of cycling to get you across the country. This route is part of the National Cycle Network, administered by Sustrans. It is designated route Nos. 71 and 7, and is signposted throughout. About half of the route is traffic-free, while half is along small country roads. A small amount is on main roads. It is possible to do the whole trip on roads, but incorporating the off-road sections is recommended, and the following description includes them. The 3-day itinerary makes for a fun-packed trip, which is quite doable for the average cyclist. The most severe section is an off-road ascent up a steep track to Hartside summit between Penrith and Alston. The overnights are in Whitehaven, Greystoke, and Allenheads. You start from the picturesque ancient port of Whitehaven, and then continue along small roads to Clator Moor, in the heart of West Cumberland coal country. 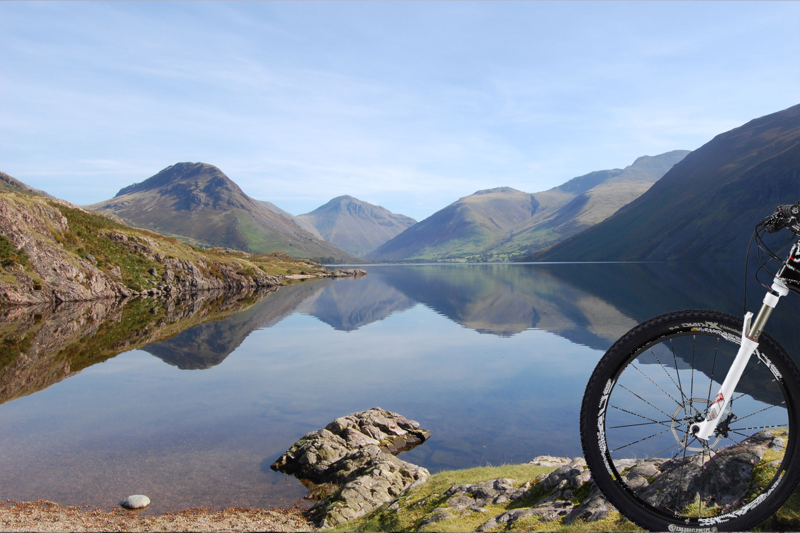 From there, in a short distance you'll enter the Lake District National Park and pass by two of the most attractive, peaceful, and least known of its lakes: Ennerdale and Loweswater. You'll continue over Whinlatter pass at over 300m to Braithwaite and Keswick. The wonderful setting includes views of Skiddaw, Derwentwater, and Borrowdale. A short way after Keswick comes the magnificently-sited Castlerigg stone circle and the village of Threlkeld, in the shadow of Blencathra, and with views of the Helvellyn range. Some sections here are on the historic Penrith, Keswick, and Cockermouth Railway, which was an engineering feat from the 1860s and makes for fairly smooth running. There's a succession of villages with wonderful local names like Troutbeck, Mungrisdale, Penruddock, Blencow, and Greystoke. You'll stop at this last one for the night. In the morning, you'll pass round Penrith and go through undulating terrain in to the glorious Eden Valley. Bliss does not last long: very soon you'll be tackling the fabled Hartside summit, which takes you to the very roof of England at around 575m. This hill takes you from verdant green fields on to the Pennine moors. Remember, there's a café on top! This is the watershed, which means that the water takes a downhill course from here - but man is less intelligent, and there are a few other summits to go. What follows is a descent to Alston, one of England's highest market towns, set in the South Tyne valley, and the lovely village of Garrigill set in its own valley next door. A steep ascent on a track leads to a more pleasant moorland ride to Nenthead. From there you cross over the highest pass on the route at 609m over from the Tyne valley to the Allen with its fascinating lead-mining history. You'll stay at Allenheads. From there comes just one more significant ascent over into Weardale. The off-road section involves an ascent over the fell via the side valley of Rookhope and along the Waskerly Way - a particularly enjoyable section of off-road. From there, the going gets much easier, as you follow old Durham colliery railways down into the lands of the North East. The route to Sunderland continues along peaceful is enhanced by some fine artworks, the new Stadium of Light, and the beach at Roker. Day 1 - Friday: Cycle from Whitehaven, over Whinlatter pass and on to Keswick. There are some pleasant off road sections along railway lines and through Whinlatter forest. After Keswick, continue along cycle paths on the old railway towards Greystoke and the home of Tarzan. 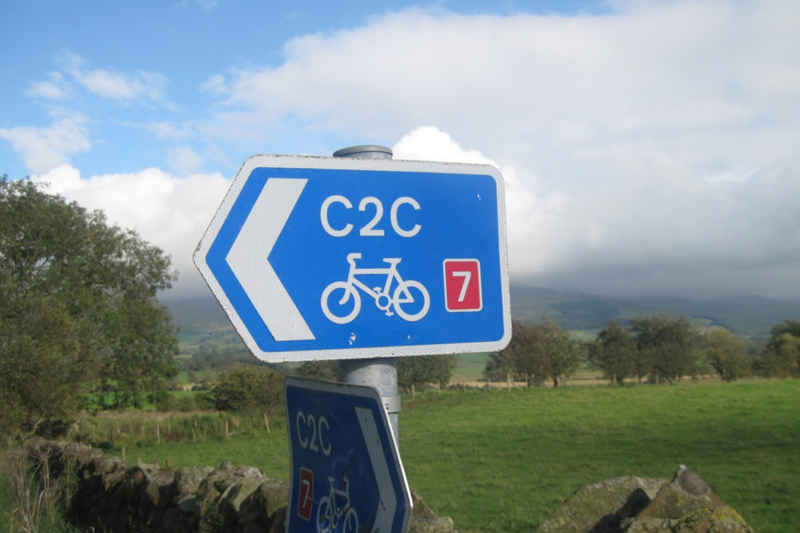 Day 2 - Saturday: A demanding day of cycling through Penrith and the marvellous Eden Valley, then up Hartside summit up to the crest of the Pennines at nearly 575m. Then a long descent into Alston to give you a breather before another ascent to the highest point on the trip: 609m or 1999ft at the top of Allendale; drop down into Allenheads. Stay at Allenhheads. Day 3 - Sunday: The morning starts with the final push over the top and into Weardale, and past some delightful villages including Stanhope, St John's Chapel, and then on towards Consett along old Durham railway routes. The final leg takes you on to Sunderland. Dip your wheels in the North Sea, and time to celebrate your achievement! Please note: This itinerary is a guide only. It can be subject to change dependent upon viability, course members' fitness, weather conditions or for any other reason. To do this challenge for a charity there is a non-refundable registration fee of £199 per person, payable to Maximum Adventure at the time of booking. You can then choose between the two different options below. Self-Funding Pay £199 registration fee at the time of booking then £400 balance due 10 weeks before departure. With the self-funding option, you personally cover the full cost of the challenge. This option means that there is no minimum sponsorship target due, but we encourage you to raise as much money as you can for the charity. Minimum Sponsorship Pledge Pay £199 registration fee at the time of booking and confirm with your charity their minimum fundraising requirements for the balance. This will typically be double the cost of the adventure, less the registration fee. With the minimum sponsorship pledge option, you must submit 80% of your fundraising target to the charity 10 weeks before the departure date. *Select funding option from the “optional extras” during booking. You can join any of our open Coast to Coast Cycles just select the date of your choice opposite and enter the name of your chosen charity in the group/charity section. For more details of how fundraising works please read our step by step guide here or contact us for help. Financial Protection: in the unlikely event of insolvency, all our trips are protected in accordance with the 1992 Package Travel Regulations. Bike hire; but this can be accommodated on request. Personal accident and travel Insurance.